God is everywhere working all around us, just as learning is everywhere, and with both all we have to do is open our eyes to see so we can join in. When God really wants us to learn something He speaks to us through our circumstances exactly where we are. 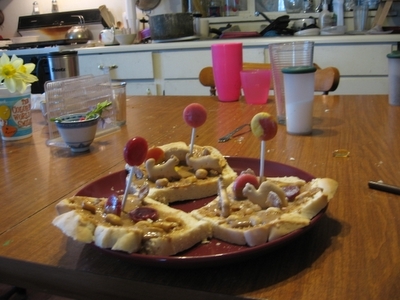 Photo: Rachel’s gift to her brother and sister–peanut butter sandwiches inspired by Willy Wonka’s candy land. Living for Him and loving His people should be our lifestyle just as learning should be a lifestyle. 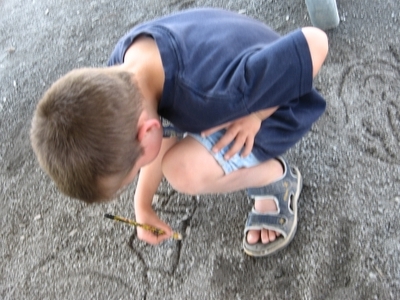 Photo: Issac drawing in the dirt in the shade at the playground because the sun was too hot. 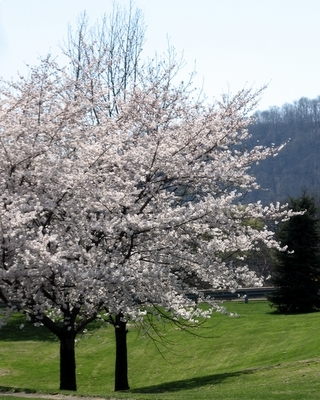 Opportunities to learn and to know God better are everywhere, not just in traditional settings. 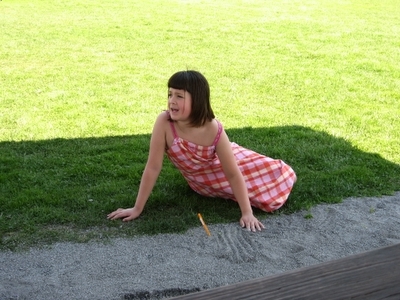 Photo: Rachel also sits in the shade and draws. In fact, those times when we are learning outside of traditional settings tend to be those where we learn and grow the most. 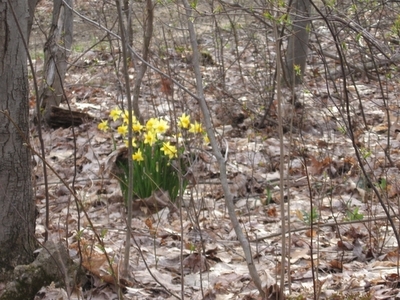 Photo: Daffodils found deep in the woods where we walked. Expect the unexpected and don’t be surprised when God shows up. 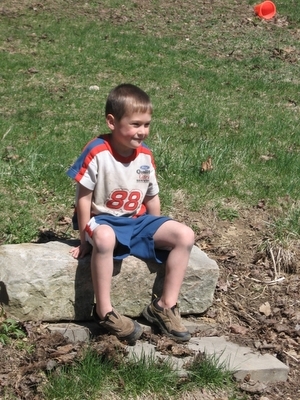 Photo: Issac sits watching the fire burn the sticks he had gathered. It is amazing the learning and growing that God has provided through living life to the fullest, finding joy in His creation, and reading about Him from His Word. I am so thankful for the numerous opportunities He provides us to learn and grow in wisdom and understanding and in getting to know Him better. God is GOOD! Previous Previous post: Unschooling Question: What About Math and the Other Boring Stuff They Need?